Probably none of us want our private messages and information to be exposed. However, messaging apps are not always secure. If you want to communicate quickly and easily, ensuring that your private data is protected, you should check out a messaging app that secures your data. 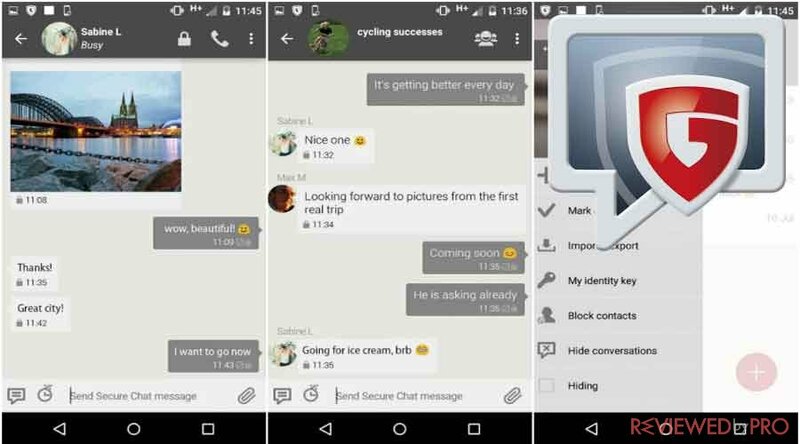 G DATA in 2015 first launched a free messaging app that looks like any other normal messaging app but is much safer. The secure messaging app has improved since 2015 and now offers innovative and reliable features. Secure Chat allows you to decide what will happen with your private messages, photos, videos, and can fully replace your existing SMS app. G DATA Secure Chat applies encryption and shields to protect information from spyware and other surveillance software. End-to-end encryption allows you to be the only one who can access the content. In addition, required passwords to read texts will be kept on your and the recipient’s device. The secure instant messaging service allows customers to participate in group chat as any other messaging apps. In addition, Secure Chat will encrypt everything that users send or receive. If you want to send and receive messages securely, all you have to do is exchange the password for encrypted text messages. Self-destruct times ensure consumers that messages will not reach other locations, such as social media networks. You have to set the time period and the data will be automatically deleted for good. This feature is perfect if you want to say something. Simply record, send and receive voice messages. The application program code has been approved by independent organizations. G DATA Secure Chat uses the open protocol Axolotl. The Axolotl protocol provides elliptic curve cryptography process and is considered to be practically impossible to hack. The source code is also open and can be checked at any time. Greater protection with G DATA Mobile Internet Security. If you want to add extra protection to your Secure Chat app, you can also get G DATA Mobile Internet Security. The application provides consumers with protection from identity theft, phishing attacks, and malware. The SMS filter allows users to block unwanted and annoying contacts, space, protected with passwords, enables consumers to keep contacts and especially worthy of protection. All of the messages from a secured number or related to it are shielded from prying eyes. G DATA Secure Chat was already installed from Google Play app store from 50,000 to 100,000 times. When companies and private individuals want to protect themselves against espionage and data theft, they are confronted with a very confusing mobile messaging marketplace. G DATA SECURE CHAT is an easy-to-use app that offers users highly secure communication – Christian Geschkat, G DATA Product Manager Mobile Solutions. 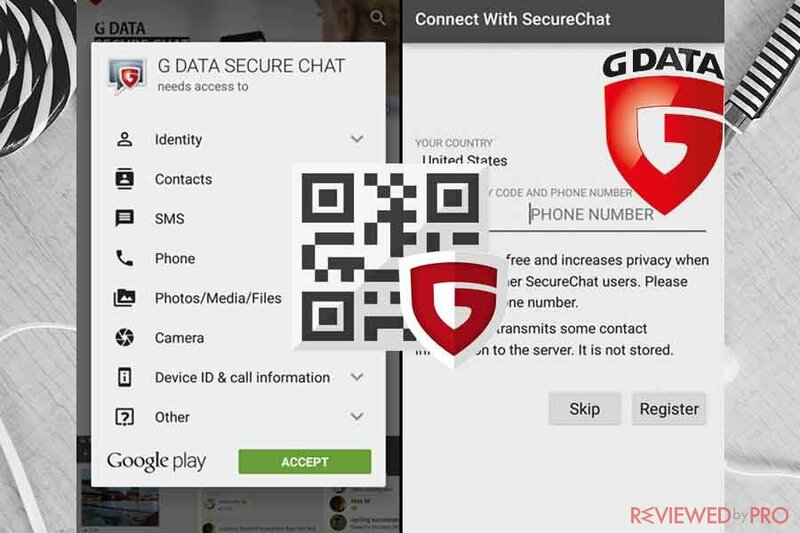 G DATA Secure Chat is available in Google Play store and it is completely free! Get full encryption functionality for your SMS and chat communication with G DATA, which guarantees its users adherence to the German data protection act. In order to successfully use G DATA Secure Chat, you have to have an Android device with 4.0 or later. G DATA Secure Chat is not compatible with iOS. G DATA Software AG is a German-based security software company. G DATA was founded in 1985 and is known for creating the very first antivirus software in the world. G DATA is also one of the eldest security software companies in the world. G Data protects Windows, macOS and mobile devices and offers its security solutions for individuals and businesses. G Data security software is available to customers across the globe in over 90 countries. 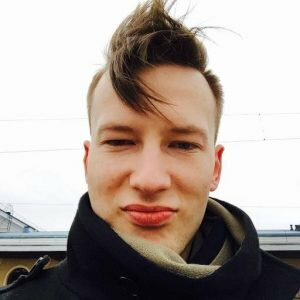 Linas Kiguolis is a senior IT developer and news editor at Reviewedbypro.com. He has a major in Applied Computer Science because IT has been his passion for a very long time even before he went to college. ^ G DATA SECURE CHAT. Google Play. ^ Tap-proof mobile messaging with SECURE CHAT. G DATA Software. This entry was posted on 2018-01-05 at 06:21 and is filed under News.